If you were in the market for a big 7 seat SUV to ferry your family around in then you’d have a good few options to look at, depending on your budget. You wouldn’t, however, have much fun when looking at the SEAT lineup. Previously, the only 7 seat model from SEAT was the sensible, arguably mundane, door-sliding Alhambra MPV. It’s what the general public would call a ‘people carrier’ - a dated term to describe a class of vehicles that have become damningly unpopular over recent years. SEAT aren’t stupid, they saw that MPVs have become hugely unwanted while SUVs have soared in popularity. Accordingly, they’ve challenged their efforts into creating a brand new, sophisticated 7 seat SUV that doesn’t compromise on the practicality that was offered by the Alhambra. Meet the new SEAT Tarraco. Tarraco is the ancient name for the City of Tarragona, which sits just south of Barcelona in Catalonia. 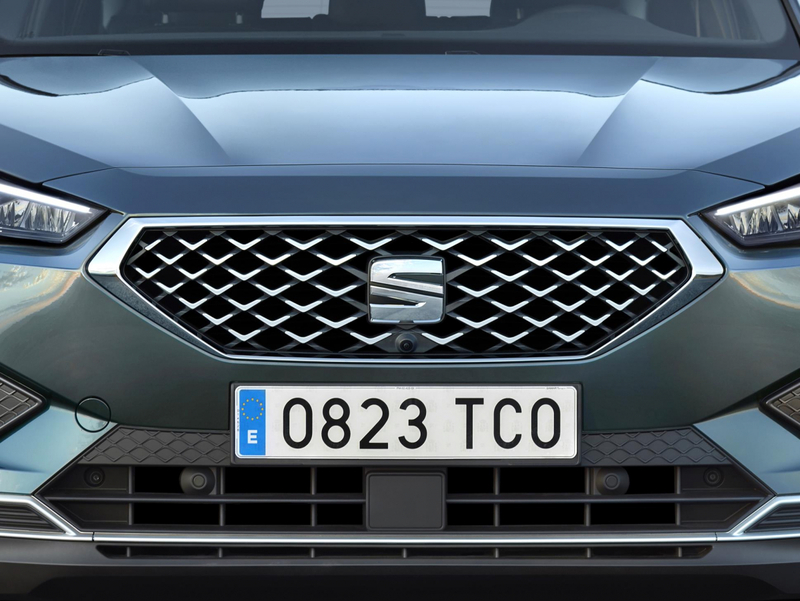 The new Tarraco continues SEAT’s habit of naming their models after locations across Spain. What’s it all about then? Well, it’s based on the Volkswagen-Audi Group’s ‘MQB’ platform, which basically means it shares DNA with the likes of the Skoda Karoq, Kodiaq, Volkswagen Tiguan, Audi Q3 and so on. The Kodiaq will be the Tarraco’s main rival, alongside the Nissan X-Trail and KIA Sorento. The Tarraco is extremely spacious. It’s a 7-seater that can actually seat 7 adults in relative comfort, although the rear seats should be saved for children on longer journeys, and in the boot, you have a massive 700 litres of luggage capacity. That’s plenty of space already, but the boot extends to a colossal 1,775 litre when you fold the rear seats down. Roomy. On the exterior, the Tarraco is pretty conservative in its design, apart from the narrow chrome front grille with floaty chrome bits in the middle, it doesn’t attract too much attention. The rear light bar which spans the width of the car, connecting the brake lights across the boot lid, is a design cue that most people will find attractive, but other than that the Tarraco is pleasantly understated. Up front, the driver and front passenger sit in arm-chair like seats which are nicely bolstered and more than comfortable enough for long journeys. Interior settings such as heated seats and climate control are managed by tangible dials and buttons, while all other functions are displayed and controlled via a beautiful floating 8-inch colour touch screen display which seems to hover above the centre console. Behind the wheel is a digital dashboard which is highly customisable, and a standard option on the Tarraco, so too are the wheel mounted controls. If you venture up the trim levels you can also equip Amazon’s Alexa voice-controlled assistant, which is a first in any SEAT model to date. In terms of engine choices, you’ve got a 1.5-litre and a 2.0-litre petrol to choose from, both are turbocharged with 148 and 187 horsepower respectively. Alternatively, there are two diesel options. Both 2.0-litres in displacement, again, one with 148 horsepower and one with 187 horsepower. We’d recommend the lower powered diesel if you tend to cover a lot of motorway miles, however, either petrol option will be suitable enough if your driving mainly consists of scooting around town, perhaps with plenty of school runs. The SEAT Tarraco is available to order now and prices start from £28,320.